Bamboo is the giant of the grass world. 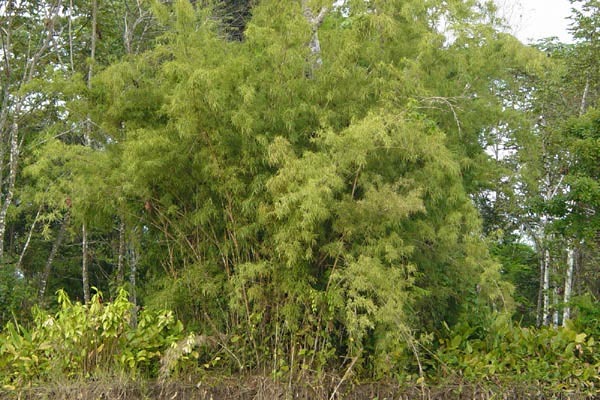 It is among the fastest growing plants and in Amazonia, vast areas are covered with it. Numerous species are described and a unique fauna is associated with it. Destruction of bamboo takes place on a par with that of typical forest, especially because it has so many uses, in construction especially. This stand (Bambusa sp.) was growing on the banks of the main stream of the Amazon River, Peru.